This year, the kids of Marion Baptist Church have volunteered to raise some extra funds for our upcoming 6th Annual International Songs of Praise Event, by bringing in change donations! Of course we turned it into a friendly competition! Girls against boys! Winning team gets to have an ice cream party! 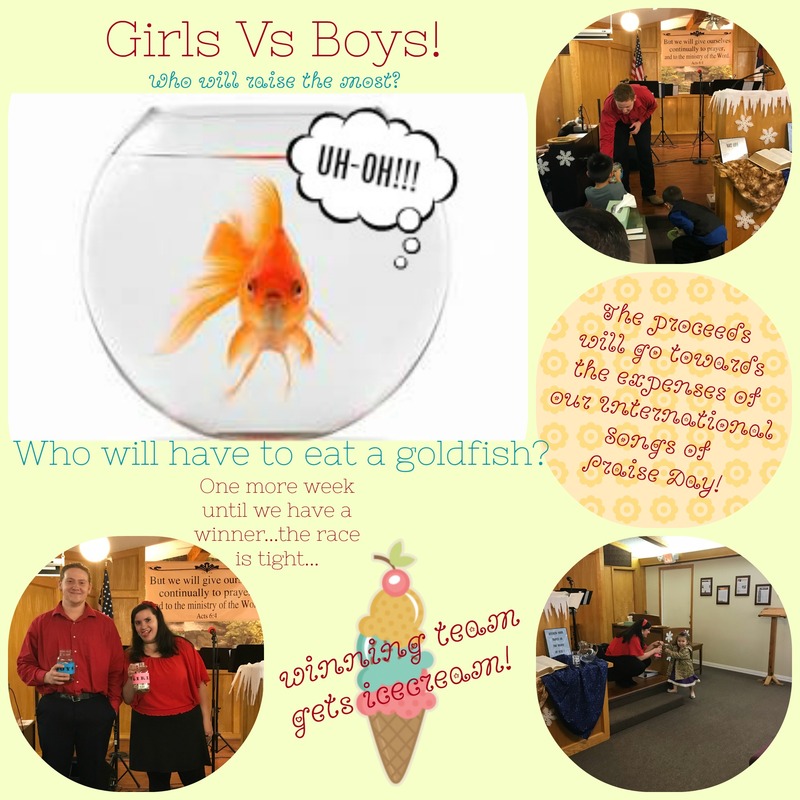 The Losing team chose a representative to eat a goldfish! We are so blessed by the youth of our church! What joy they bring! Go team! So…who are you rooting for?